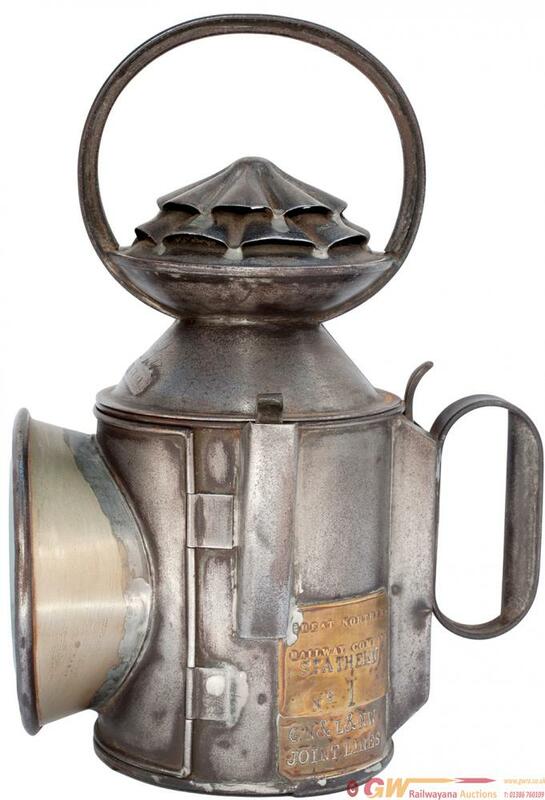 GN & LNWR Joint 3 aspect double pie crust handlamp brass plated Great Northern Railway STATHERN No1 and GN&LNW JOINT LINE. Stamped in the reducing cone GNR A7/07 GN 9054 and also stamped GN9054 in the side of the lamp. Complete with original fore and aft reservoir, burner, reflector and all glasses. In good cleaned condition.